Bananas are great for baking. They make everything really moist. Most times when you buy bananas, they are either under-ripe or overripe. When, they are just right, they are good for eating fresh and for making banana cream pie. When they are overripe is when they are perfect for baking things like banana cookies, banana bread, and banana cake. I love buying them when they sell big bags of overripe bananas really cheap. I can also get them free from my town grocery when they are pretty brown. If there are too many to use at one time, stick some in the freezer. Put the unpeeled bananas in a bag and freeze them for later baking. When you need some, just take out what you want, thaw and mash for your favorite recipes. Just snip off the end of the banana and squish out the banana. 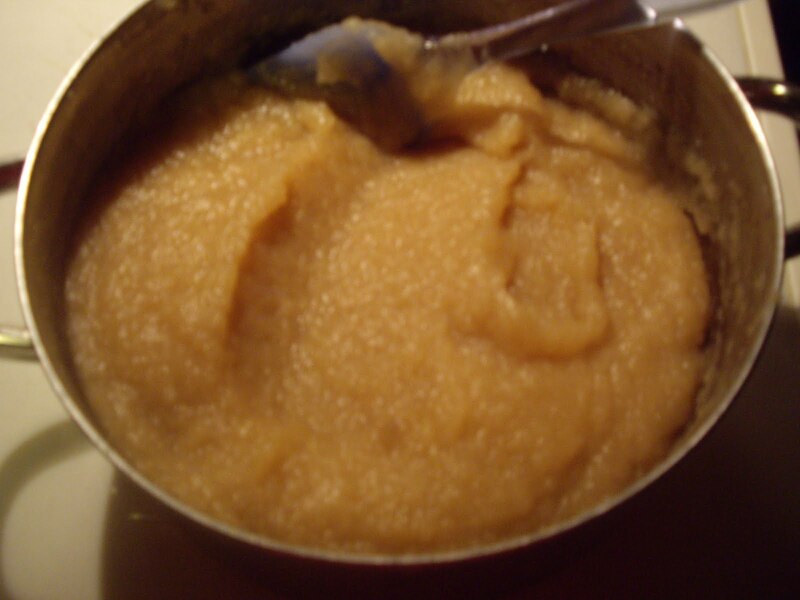 The thawed bananas mash easier than fresh bananas. Some tips on mashing bananas. If you have an old potato masher, that is great. It works so much better than trying to use a fork. Another option is to stick them in a blender or food processor. If bananas are not mashed really well, hunks of banana can settle to the bottom of whatever you are baking and it doesn’t really bake right. It will test done, but when you slice it you will have a rim of banana along the bottom crust.